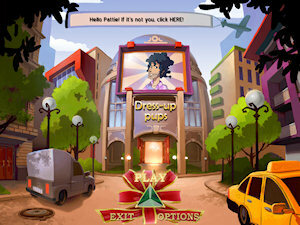 Dress-Up Pups is a Match-3 game that puts you in charge of a luxury fashion agency catering to the most extravagant dog-lovers. Each customer has a unique vision for their pet’s ultimate outfit; help them bring their dreams to life through both classic and chain-style match-3 game play, plus jigsaw puzzle mini-games! 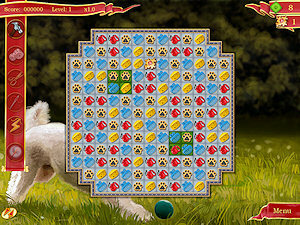 Dress-Up Pups will feature 190 levels of match-3 fun. 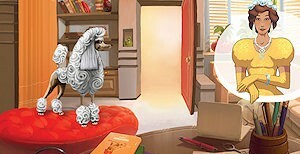 On the way to your design success you will meet 10 amazing characters and will create 21 unique outfits for their dogs. Actually, we started to work on that project (code name Dogs Fashion) more than a year ago inside of our own team. But after 6-8 months of slow development Dogs Fashion was frozen. Luckily our constant cooperation with Roman Budzowski from Anawiki Games ended up with Dogs Fashion’s resurrection! So meet new and shiny Dress-Up Pups. We put in it all the skills we learned during creation of The Perfect Tree and polished a lot of ideas and art that was already created. Dress-Up Pups was initially scheduled to be released on Oct 12th 2010, but since we want to give it a bit of extra polish the release has been moved by a week. It will be available for both PC Windows and Mac OSX… and hopefully after a while on Linux. Stay tuned.